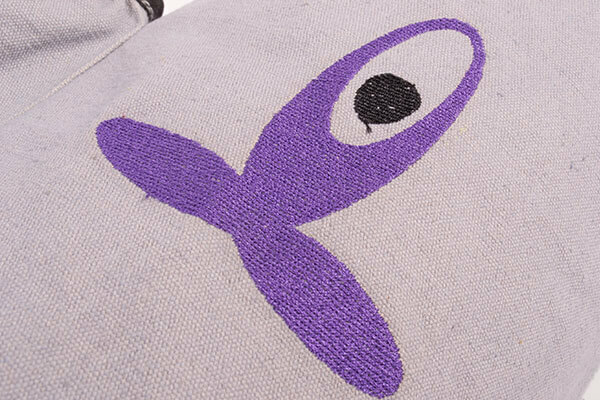 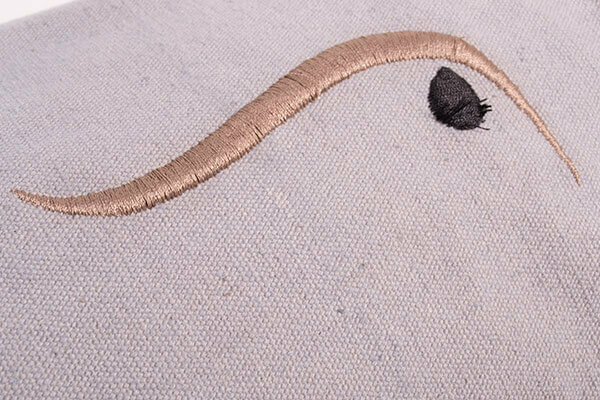 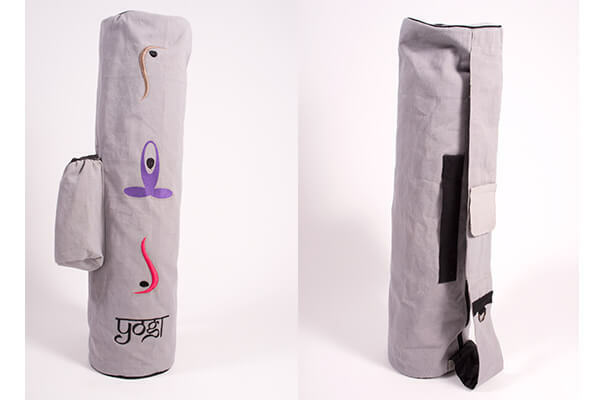 Quality cotton canvas yoga mat bag in medium grey with yoga figure embroidery and black piping. 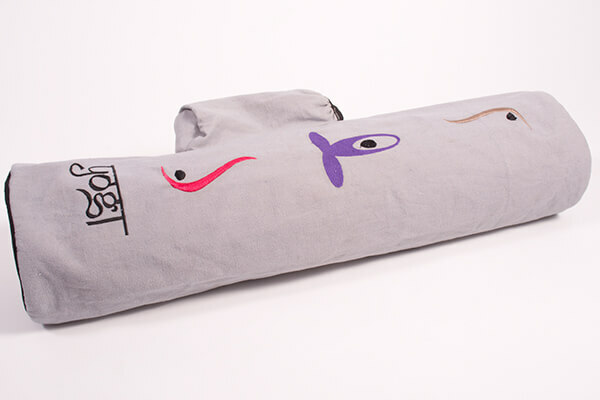 Featuring a water resistant black lining, water bottle holder, mobile pocket on the strap and inside zipper pocket. 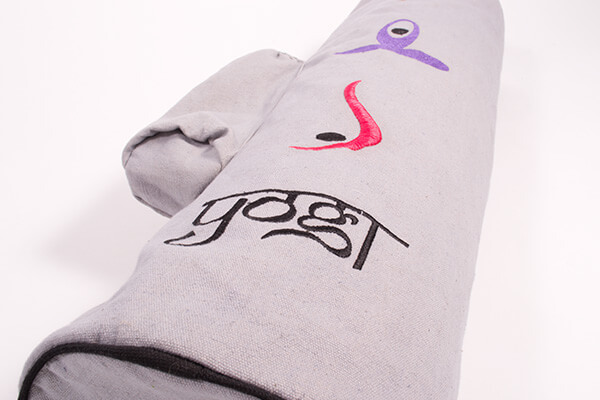 Can be worn over the shoulder or has a carrying handle. 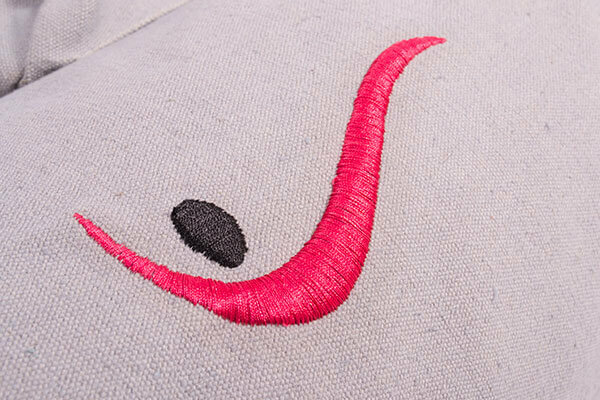 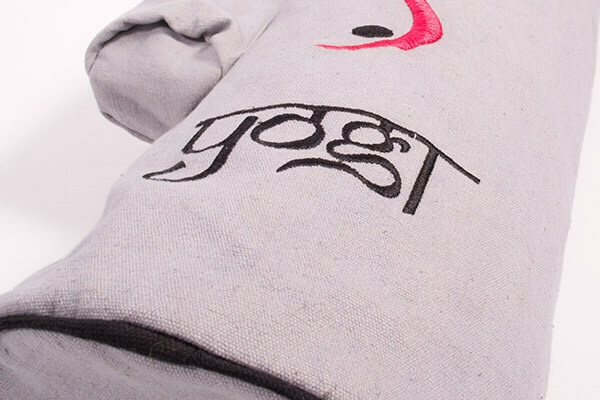 The embroidery represents several yoga postures and has the text 'yogi' at the bottom.